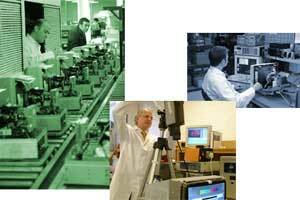 Microvitec's service department can support all the products it has manufactured since the early 1980's. We do not charge to evaluate your returned monitor in the majority of cases however a charge may be made if we are instructed to conduct a repair and it cannot be completed successfully. 2. Email Microvitec at sales@microvitec.co.uk with the above information together with your contact details. 4. Return the monitor for the attention of the ' Service Department' at our premises. Ensure the monitor is adequately packaged, as we cannot be responsible for breakages/damage in transit. Goods must be returned at your cost. 5. We will contact you with a quotation for you're approval prior to conducting any work. 6. Repairs are normally turned around within 5 working days.